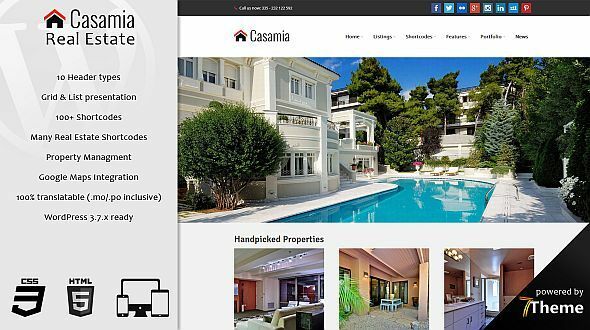 Casamia is an extremely flexible theme for managing realestate properties. It gives you powerful options for displaying your properties and communicating with potential buyers. It comes with lots of features like: advanced property search, default and grid listing, property slider content, custom widgets, many page templates, theme options, easy to use admin panel, unlimited colors, 600+ fonts, more than 380 retina ready icons and tons more. This theme is built for professionals and agencies working in the Real Estate domain.